Who could have imagined that selling old dishes, unwanted furniture and outgrown toys could save a woman’s life and give a young person the chance for a brighter future? Yet on Saturday, May 14, Royal LePagers from across the country once again came together to host the 3rd Annual National Garage Sale for Shelter and did just that. Thanks to your dedication, creativity, hard work and perseverance, we set a new record by raising more than $410,000 in support of local women’s shelters and violence prevention programs — a 27 per cent increase over last year. Read our latest press releaseand a list of all Garage Sale for Shelter participants. We also raised awareness of the issue of family violence and increased the profile of Royal LePage through dozens and dozens of newspaper and magazine articles, radio and TV interviews, and online listings — totaling millions of media impressions! Because of your support, women and children who have experienced family violence have a safe place to stay, a refuge from the worry, and the chance to live free of fear. You have shown that “someone out there” cares for their safety and well-being and wants them to have a better life. An extra special thank you goes out to our extraordinary sponsors: TD Canada Trust Mobile Mortgage Specialists (National Presenting sponsor), Atlas Van Lines Canada (In-kind Moving and Transportation sponsor) and Advance Commission Company of Canada (Major Event sponsor). Their generous support and unparalleled commitment to our cause made this event possible. 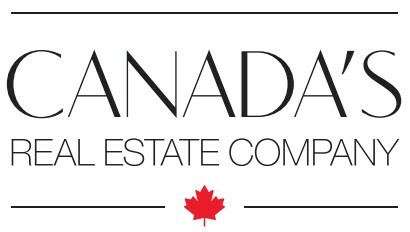 Note: Some Royal LePage offices are hosting sales at a later time and are therefore not included in the current results. For pictures, videos, and stories from the event, find us on Twitter, Facebook, YouTubeand Flickr.